PURUS® Concrete Form Oils are blended using selected base oils and special additives designed to wet metal and wood form materials, giving excellent parting characteristics to concrete forms. PURUS® Concrete Form Oils are designed to keep forms clean and provide longer form life while providing rust protection to metal forms. 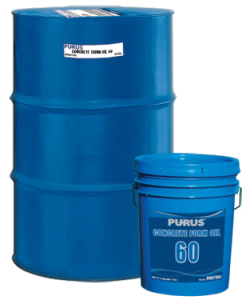 PURUS® Concrete Form Oils provide cleaner and easier separation of concrete from wood, metal and other forms. PURUS® Concrete Form Oils contains special mold release agents that chemically react with the concrete which promotes easy separation from forms. PURUS® Concrete Form Oils may be brushed, sponged or sprayed on. 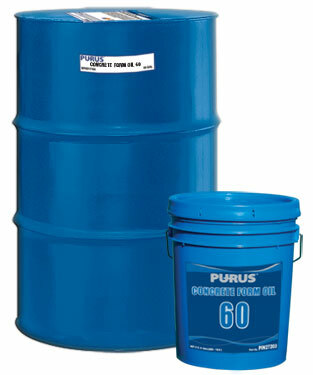 PURUS® Concrete Form Oils may also be used in spray applications in cement mixer drums to facilitate cleaner product.